The Guardian's leak has already provoked widespread anger amongst civil servants. 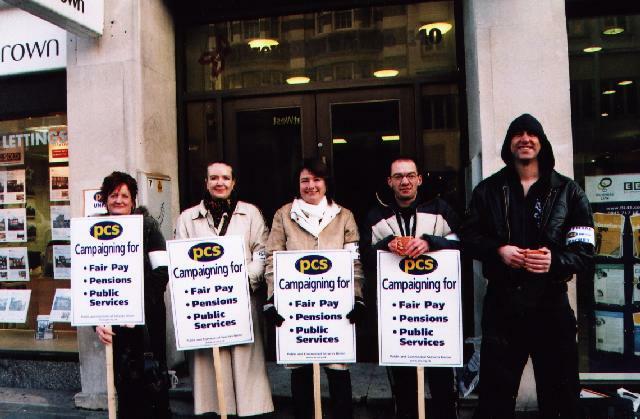 Whilst the response of the Public and Commercial Services (PCS) union has been muted, condemning the report but promising nothing more radical than lobbying MPs and incorporating the issue into their existing national campaign, workers themselves have indicated they are up for a fight. There have been indications that some are trying to establish a rank-and-file network as a way to tap into anger from those both within and without the union. It remains to be seen whether this idea will bear fruit. But the detail of full report, Current Practices on Terms and Conditions, is certain to add fuel to the flames of workers' anger. Marked as “RESTRICTED,” it confirms that the government's “benchmarks” in all cases amount to a reduction in entitlements from the status quo, some more dramatic than others. On annual leave, the report notes that civil servants currently get an average 27.5 days holiday in their first year of service. 11 of 19 departments offer increases with length of service. The government benchmark is to reduce this initial entitlement to 25, with length of service entitlements capped at 30 days. As there is no indication that departments must increase leave over time, those whose employers do not currently get this face a flat reduction – though those who do will still see less time off than at present. Departments are also urged to remove or “re-brand” the one and a half days of “privilege leave” that civil servants get to cover public holidays. It suggests that a re-branding would simply entail bringing this under the umbrella of annual leave, thus in practice workers would lost a further day and a half away from the office in all cases. The document urges that Occupational Sick Pay is to start at one month full pay and one month half pay in the first year of service, rising with each year of service to five months full pay and five months half pay after five years service. This is a significant reduction from the present, whereby workers are entitled to six months on full pay and six on half pay upon entry. With “attendance management” on the list of additional policies that may also be reviewed, this is a route to a more punitive attitude towards sickness. Whilst the working week was the headline change of the Guardian article, this appears to be the least dramatic change. The benchmark stipulates only that workers in London go from 36 to 37 hour working weeks, which is the norm for civil servants elsewhere. “Mobility” represents a particularly stark change from the status quo. Where presently departments have to consider reasonable travel distance if workers are made to move offices, the Cabinet Office wants a contractual clause that goes much further. This would “enable compulsory permanent transfers to any Civil Service post in the UK, as long as the post and move are deemed reasonable.” The clause would mean civil servants can be forced into different departments as well as different areas of the country. The report also suggests withholding benefits and entitlements from staff currently on probation. The example used is flexitime, but it would presumably apply to other benefits as the examples cited by the report include the British Heart Foundation not offering Occupational Sick Pay during probation and the charity Help and Care not matching pension contributions until the scheme is over. With civil service employers (as employers generally) increasingly resorting to the use of temporary staff to fill demand in peak periods, this could even be a way to phase out entitlements altogether for newer staff. Whilst the documents themselves point to the government's determination to attack the terms and conditions of their workers, the leaks suggest that not everyone in the Senior Civil Service is on board with this. Certainly, those at lower levels are unhappy, and likely to be even more so on the basis of the detail of the changes as outlined here. The question now is how they fight it. Whilst the documents themselves point to the government's determination to attack the terms and conditions of their workers, the leaks suggest that not everyone in the Senior Civil Service is on board with this.